Baby Peggy was one of the first child stars to hit it really big on the silver screen. 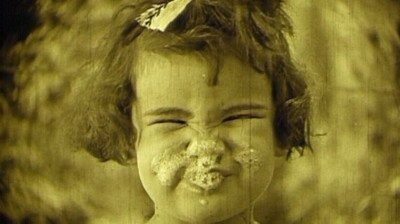 She by the time she was 5 years old in 1924 she had a contract worth $1.5 million a year. The fame didn't last however and she found herself, and her family, trying to scrape out an existence only a few years later. 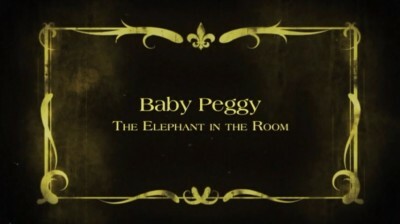 Baby Peggy: The Elephant in the Room is a documentary that looks at Baby Peggy and the lady who played her, Diana Serra Cary. Featuring copious interviews with Cary, one of the few silent actors who are still with us, it's a wonderful look at her career and times. Milestone went the extra mile in putting out this package, as they always do. Included on the disc are four to the young star's films, including a feature, Captain January. It's a wonderful collection that will thrill fans of early cinema. Born Peggy-Jean Montgomery in 1918, the little girl who would become known as Baby Peggy moved to Hollywood at a young age when her father found work in the movies riding horses and doing stunts for Tom Mix. While taking a studio tour with her mother a director noticed the child and how well behaved she was and cast her is a film opposite Brownie the Wonder Dog. The film did well and next thing anyone knew, Peggy had a contract and was making more money than her father. That was a bit hard for her controlling father to take, but having a large income helped sooth his bruised ego and Peggy went on to bigger and bigger roles. When Brownie the Wonder Dog died, she was cast as the star in a series of shorts, and not too long after that she signed with Universal to make features. By now she was five, and with the contract with Universal she'd be making $1.5 million dollars a year. That wasn't the extent of her earnings either. Between films she made stage appearances and even endorsed a wide range of products, from clothing to food. 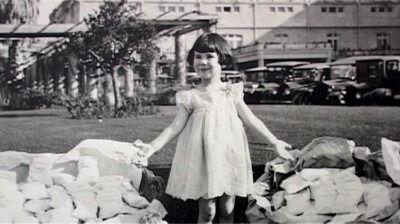 She was raking in the dough, and the sole earner in the family. Unfortunately her finances were handled by her father who just wasn't up to the task. Neither of her parents were prepared to have a super-star daughter (she was mascot of the 1924 Democratic Convention and the film has a picture of her waving a flag next to Franklin Delano Roosevelt) and they made some mistakes. One of the biggest ones was not realizing how much power the studio heads had in those days. When her father got into a fight with an exec at Universal and said he wanted to tear up Baby Peggy's contract the company let her out... and blackballed her. Unable to find work at the other studios, the family had Peggy make the rounds of the Vaudeville circuits. She was still very popular and made a very decent living, thought he hours were long and the work was hard. With the money from these performances her father, who was fond of fast cars and expensive living, put down a deposit on a ranch. When the stock market crashed in 1929, the family was broke and lost it all. The documentary follows Peggy, who changes her name to Diana Serra Cary to separate her from her on-screen persona, through the lean years of the depression when she and the rest of her family worked as extras in Hollywood just to keep body and soul together. It's a touching story, and Diana made it through the ordeal better than some child stars (and better than her older sister did). Her memory is surprisingly good and she does recall some of her time on the sets of her films. It's great to hear her talk about what she remembers from the early days of Hollywood. The documentary isn't perfect however. There are a couple of times when the story becomes unclear. For example right after her contract with Universal was ripped up, she recalls that the family returned from a publicity tour to their impressive house and everything was gone... the silver, the furniture, and the china. She goes on to say that "he drained the bank account too." It's not clear who she is referring to. The Universal executive? Her father? One of the relatives who was living with them? There was more than $1 million in the bank account, so you'd think that someone would have bothered to find out. Of course in her defense, she was very young at the time and the adults wouldn't have let her in on the details of what happened. Still, it is an important part of the story and it's a shame it's not related to a bit more thoroughly. The main story however, is how Peggy's stardom had a lasting affect on her family. It pretty much tore them apart. He older sister always felt inferior because people would swarm around Peggy but ignore her, and her father had trouble dealing with the fact that he wasn't supporting the family. Her one-time fame is the elephant in the room of the title... something that had a deep impact on the while family but it was also something that on one ever talked about. Overall, this is a very informative and interesting documentary. Well worth seeking out if you have any interest in the early days of Hollywood, or of how the Dream Factory could treat its youngest stars. This single disc comes with the title documentary as well as four Baby Peggy films including a feature film. It's a very nice package. The audio is fine. 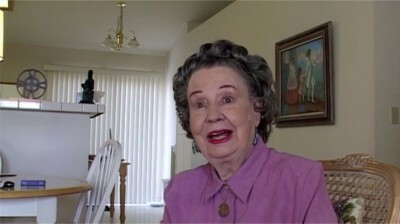 Diana Serra Cary, though she's in her 90's, has a strong voice and it comes across well. It's easy to hear her comments as well as those of the narrator. The silent films have music composed and preformed by Donald Sosin with vocals by Joanna Seaton (Captain January) and Guenter Buchwald (the shorts). All of the musicians do a terrific job and the audio sounds great on these. The documentary was filmed in standard definition (so no need to wait for a Blu-ray release... it won't be coming) and it looks alright. The level of detail is fine and the colors are decent. There's nothing really wrong with it but there's nothing outstanding either. The silent films included vary a bit. More on those in the extras section. 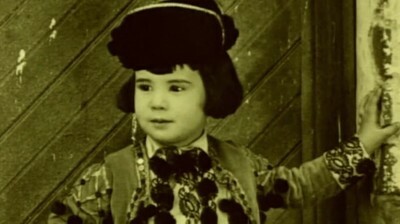 This disc also includes four of Baby Peggy's films: the shorts Carmen Jr. (1923, 11-min), Peg o' the Mounted (1924, 12-min), Such is Life (1924, 17 min), and the feature, Captain January (1924, 58-min). The first two come from the only surviving copies that were discovered in a foreign film archive. For those, the intertitle cards are not in English but there are burned in subtitles. These films actually look better than I was expecting. There is some print damage here and there, but overall the films look very good. They are also a lot of fun to watch. They're funny and entertaining and she really had a lot of screen presence. It's a shame more of her films don't survive. Milestone is known for releasing a quality product, and this one is no exception. The documentary is good, but the four silent films included are a real treat and make this a wonderful package. 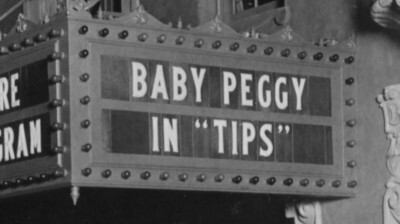 Funny, charming, and very entertaining, it's easy to see why Baby Peggy was a star. Pick up a copy of this disc and you'll find out why too. Highly Recommended.